Have you ever seen a professional game of baseball? If yes, then you have seen the batsmen hitting with a lot of power. Have you ever wondered how they are able to summon so much power in such little time? Whether you want to improve your sports performance or just want to know how it is done, this article shall be very informative. Power for hitting a ball all the way to the boundary takes a lot of strength, that’s for sure. But is also requires a subtle technique. To the professionals, this comes naturally, which lets them to hit explosive shots. Before we get to the proper techniques for batting, we need to see why most players go wrong. 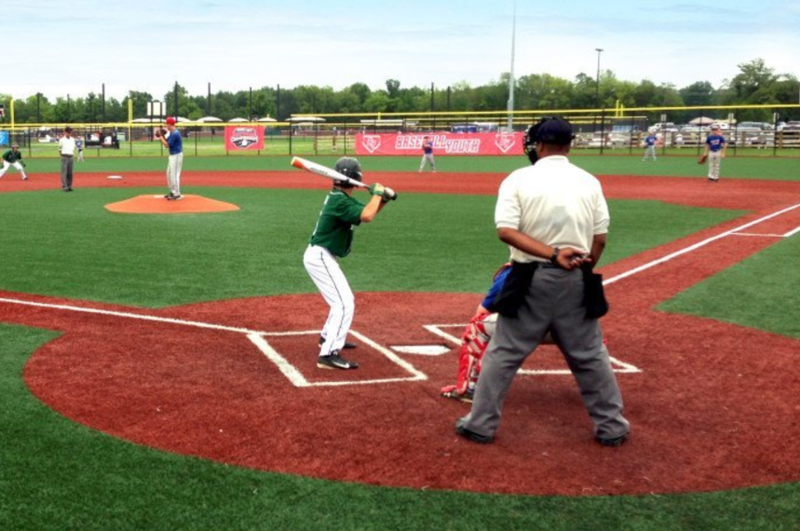 The most common cause of a low power hitter is stance problem. Most amateurs and beginner players stand with a wrong stance. Ask any baseball coach and he or she shall tell you that an athletic stance is of the utmost importance. One of the easiest ways to do this is to divide the body into imaginary areas knows as “body eyes”. This concept stems from the fact that a batsman can hit only which he can see. Therefore, if specific parts of the body are not in proper alignment, one cannot hit with full power. Therefore, according to this theory, which is accepted in professional circles, there are 7 “body eyes”: 2 eyes, 2 shoulders, 1 belly button and 2 knees. Now, according to the concept, you as a batsman need to stand with the eyes, the front shoulder, the belly button and the front knee facing the pitcher. This is a good stance. Now, let us see which stances are not conducive to powerful hitting. One of the most common instances is when the feet are not kept parallel as they should be. The parallel stance is useful because it presents a better coverage, a wider field of vision and better balance. 1) Another common problem is when the batsman uses the arms wrongly. Normally batsmen keep the bat raised behind the head. But when they hit the ball, they hit it with less power. This happens because the hand is swung from one extension to another. The swing shall be slower as well. When a ball is speeding towards you, you don’t want this to happen. Ideally, you should be keeping the bat above the back shoulder, for a start. 2) The third problem which beginners made is to step out and hit. This is mostly seen in the younger players, who are generally more aggressive. When you as a batsman step forward onto the pitch, there is excessive head movement and hip drift. Pitchers can change speed suddenly and throw a ball. Going forward makes you less able to give an explosive or powerful hit. Now let us come to the part which we have been waiting for! How indeed are players able to use their lower half to swing harder? The power for the hit comes from proper hip rotation. You need to explode from the hip and transfer that power to your hands. 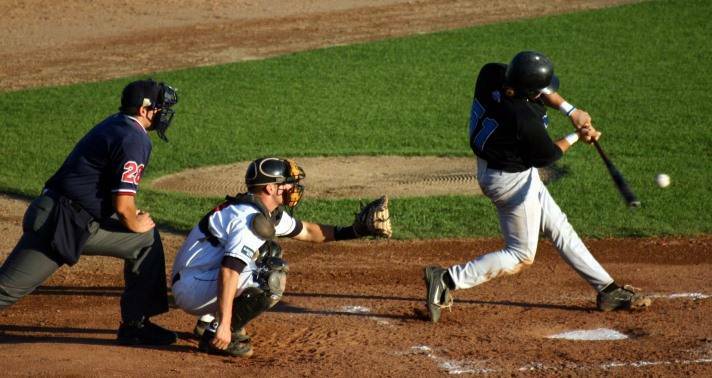 According to the proper stance in baseball, the batsman stands with his weight shifted towards his back. The body’s weight is taken up by the back leg. As you can understand, this part, therefore, has a lot of power stored up. This is from where so much energy comes from. Energy, therefore, comes from the ground up to the hip and ultimately into the hands. After you have taken a proper stance, wait till the pitcher has thrown the ball. As you know, it is very important to observe the ball at all times. Keep your hands above the back shoulder. This creates the instance of a coil. When uncoiled, this has a powerful impact on its own. But this on its own is not able to give adequate power. Many people make the mistake of keeping their hips stationary and just swinging their hands. This creates less power because once the hands get ahead of the hips, the latter is not able to catch up. Instead, when the ball is thrown, let your power come from the back leg, then the hips, and finally swing your hand hard, but with finesse. You want to hit the ball where you want, and not in a fielder’s hand. Yet one more mistake which players make is to make the front hip to all the work. When you swing from the front hip, the back hip does not come into play. This creates less power. When gaining more strength for your shot is the priority, you need to explode up from your back hip. Remember, use the back part of the body: the legs, knees, thighs, and hips.